I was born in Dunedin, New Zealand and studied at Canterbury University where I graduated with first class honours in electrical engineering. I was a keen rower and am proud to have rowed for the New Zealand junior team at the age of 16. As a student I worked hands-on in the vineyards of Canterbury but it wasn't until after I'd settled in London that my interest in wine developed. 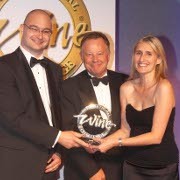 I met Jane in 1999 and we married in 2001, the year we began our wine studies before setting up ThirtyFifty in 2002. As I grew up I watched my entrepreneurial parents work together in a number of family-run businesses - from hairdressing and cafes to running a successful printing business. My own career path led me to food and drink marketing, managing brands such as Twinings and Sharwood's. But meeting Chris was the real turning point and after we met, I took a year out to be with him in New Zealand, before we returned to the UK to get married. Two years after setting up ThirtyFifty we started a family and now have two lovely daughters. Business too has since gone from strength to strength and long may it continue! We have a team of wine experts running ThirtyFifty tastings across England, Wales and Scotland. As well as plenty of wine experience, they all have Wine and Spirit Education Trust qualifications and many either hold the Diploma or are studying for it. Above all our team share a love for wine and a desire to pass on their knowledge - whilst having fun! It's thanks to the support of our team that ThirtyFifty can reach so many more of you than just the two of us. We're always on the lookout for new talent and so, if you have the relevant wine qualifications and are interested in joining our team, do check out our current recruitment needs and criteria.